Koh Samui is all about sunshine, sand, and ocean. It's the paradise for every beach lover, the premier choice for a romantic hideout and a hassle buster hotspot for the tired soul; Koh Samui will steal your mood with its gorgeous beaches and awe-inspiring tropical arrangement. This beach destination proposes its guests, who come in search of ways to soothe their souls, a way to dissolves all their stress, feel alive again and spend days filled with escapade and full of life. This Marine National park is 28 kilometres from Samui Angthong. 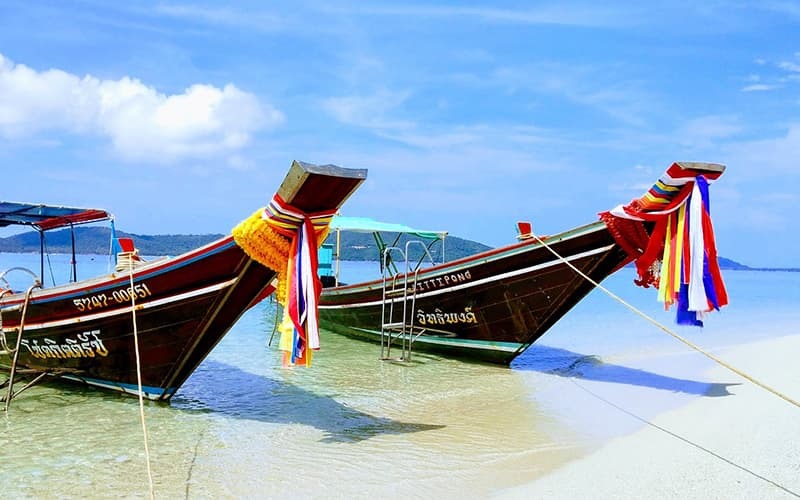 It is a pristine archipelago of 42 islands in the Gulf of Thailand with towering limestone mountains, thick jungle, white-sand beaches, fertile mangroves, waterfalls and hidden coves and lakes to explore. 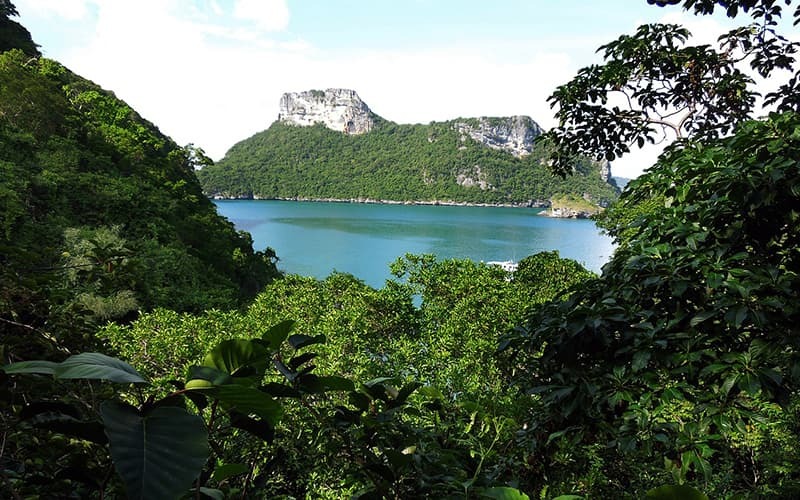 Within sight of Koh Samui, Ang Thong Park is a protected area of more than 100sqkm of land and sea, and home to a rich variety of exotic wildlife and sea creatures. If you are someone that derives fun from viewing wildlife and sea creature, this is a perfect place for you to visit. Majority of the Samui waters are suitable for sailing. So, let's go sailing on Samui waters on the Dreamcatcher! You will enjoy cruising Ocean Sports & Yacht Charter where our captain, Kunta, once took us around Koh Samui island as well as a visit to its neighbor, Koh Pha Ngan. We also had a stopover to swim as well as enjoy local beachside lunches. Another thing is that one of the easiest ways to move around the island the island is my mopping. The only one major road that circumnavigates the island will take you only a couple of hours to drive through. Nevertheless, it's worth stopping off at beaches and towns along the way. When going on Thailand holiday, ensure you experience Koh Samui spa. The SPA on Koh Samui can be described as dotted or on the other hand, at a level of three steps and one post. Spa on the island offers an extensive assortment of services. In addition to the customary Thai massage, we have the essential oil massages, head massages, foot massages; all of which can get rid of fatigue and ease the whole body. The average price of Thai massage costs 200 baht/ hour which is about RMB 40, while the cost of the same Thai massage in a hotel accommodation will cost higher. Nevertheless, the quality of service you will receive from each environment won't be the same with more comfortable atmosphere expected in a hotel than any other over-crowded places for tourists. This "genuine ecology" may be the fascination of this island. The principal attraction in Koh Samui is its Chaweng Beach, which is renowned for its smooth, clean white sand beach. When you compare Bangkok and Koh Samui nightlife, the later is more silent and relaxed than the urban city of Bangkok. Nightlife in Koh Samui is free from the metropolitan hustle and bustle that can be found in the big cities. Although this doesn't mean the, there is no fun. An evening walk into Nathon which is the center area of the island will give you a unique enthusiasm feeling of the Thais. You will also be able to explore the lanes of the merchants and the flashing lights which is another side of Koh Samui. On a final note, whether your choice is a star hotel or an ordinary beach house, they will all provide you with cars and motorcycles rental services. We have prepared a brief travel guide of Koh Samui below that will be of great help as you ready for that sunny holiday in Koh Samui. This particular beach is situated in the North-Eastern part of the island very close to the airport. 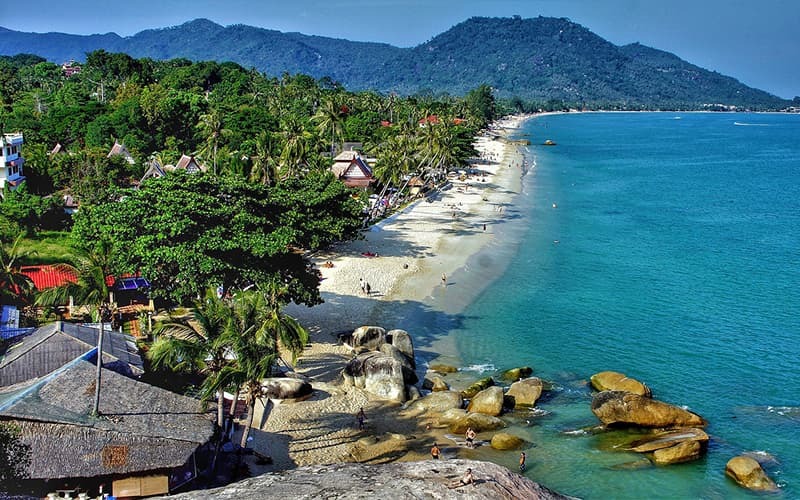 Chaweng Beach is the largest beach town and the preferred destination for all travelers among all the attraction spots that Koh Samui has to offer. The beach is also famous for its energetic atmosphere and nightlife. Now for those who are interested in exploring the two best options, i.e., laid-back relaxation and exciting party life, Chaweng is the right choice for you! For party lovers and those who love being lively in the midst multitude, they both have an abundant choice in nightspots, lip-smacking dining and exotic shopping. To the south of Chaweng Beach is the Lamai Beach; a beach resort town that possesses a vitality similar to that of Chaweng Beach but a little bit toned down and peaceful. One of the reasons why people chose the Lamai Beach is because of it's noiseless and less congested nightlife. There's much to explore aside from the nightlife on Lamai Beach; the shores of the beach are breath-taking, a natured-pampered spot for the soul with crystal clear azure waters, white sandy beaches and plenty of sunshine makes the beach a fabulous vacation point. The beach town is also perfect for budget-mindful itinerants regarding accommodation. There is a meeting point between Azure waters and the indigo sky at the horizon. 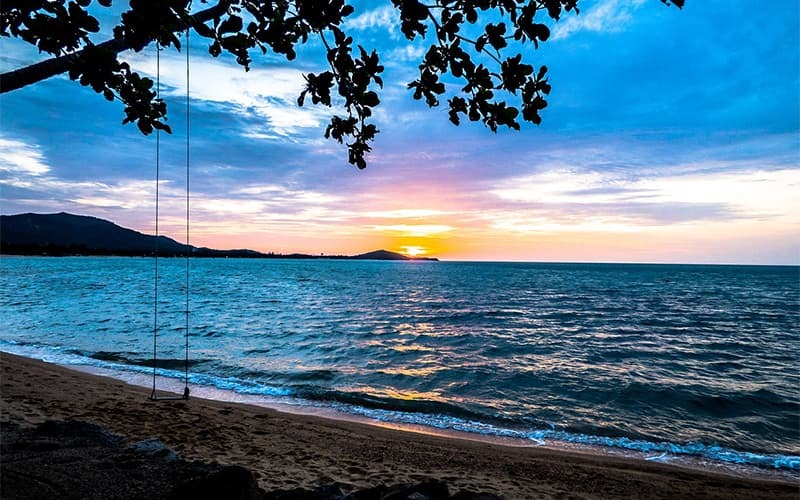 This beautiful and calming natural sight is one of the reasons which many tourists choose BoPhut Beach to seek succor in the lap of nature on their Koh Samui trip. With spick-and-span clean and serene environment, Bophut Beach welcomes and invites you to catch a foretaste of its revitalizing nature coupled with appealing fisherman village arrangement. Move around the island and likewise take a look at the streets lined with ancient wooden Thai Chinese shop buildings, Intertwined amidst them are numerous modern outlets that sell classy merchandises no to talk about stylish resorts and cafeterias. Bophut allows its guests to enjoy its electrifying ambiance, captivating nature panoramas while also mingling with residents and appreciate their traditional lifestyle. Amari Palm Reef Koh Samui is a four-star resort situated close to the centre of Chaweng on the east coast of Koh Samui in the Gulf of Thailand. Being located by the ocean, Amari offers the best of both worlds to its visitors, i.e., a beachside refuge right by the action in Chaweng. There are various types of accommodations in Amari Palm Reef Koh Samui including 20 Superior Beach Royalty Quarters, 29 Luxurious Thai Village Lodgings, 84 Deluxe Garden Wing Accommodations, 31 Plush Pool View Rooms, 16 Exclusive Thai Village Family Rooms, 4 Deluxe Beach Wing Oceanic View Rooms, and four Junior Suite Sea Views. Rockys Boutique Resort is a typical private and isolated boutique resort that offers chalets and cottages accommodation. It is sited 5 minutes from Lamai Beach, 11 kilometers away from the Samui International Airport which is on the east coast of the island. The resort employs the use of a shuttle service to convey its customers to this astonishing beach. Fifteen minutes away from the resort is the Chaweng Beach while the amiable Muslim Village is just 2 km away from the resort. Altogether, the total number of accommodations in the resort sums up to 47 bungalows and three private pool villas.